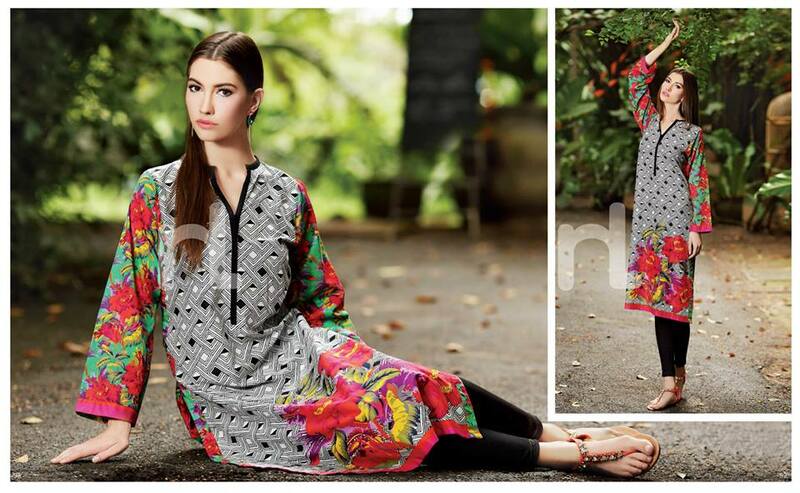 Just Today Nishat Linen has launched their Latest NL Pret wear Volume-1 2014 Spring Dresses Collection For Women. This assortment is intended with the recent and most current designs which are really comfortable and perfect for the Mid season. 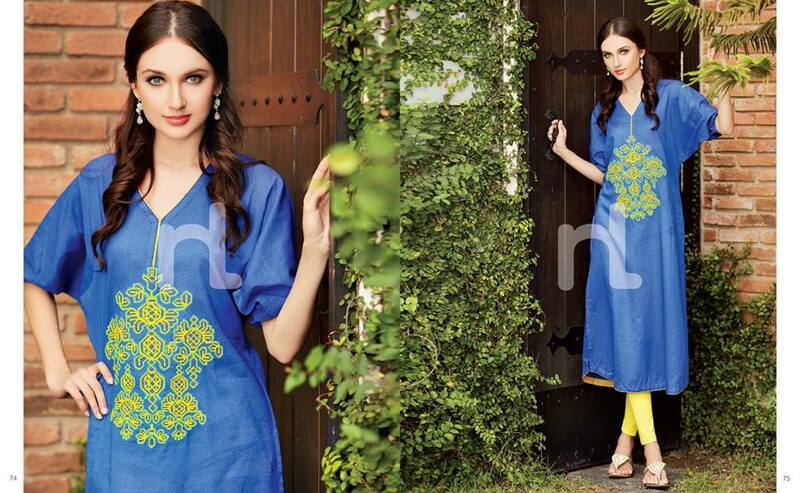 Nishat Linen is one the Well known and Popular brand dealing with women clothing and accessories. 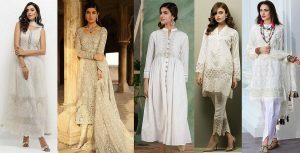 It releases its occasional and seasonal dresses collection at every event and season which includes party wear,casual wear and formal wear dresses. 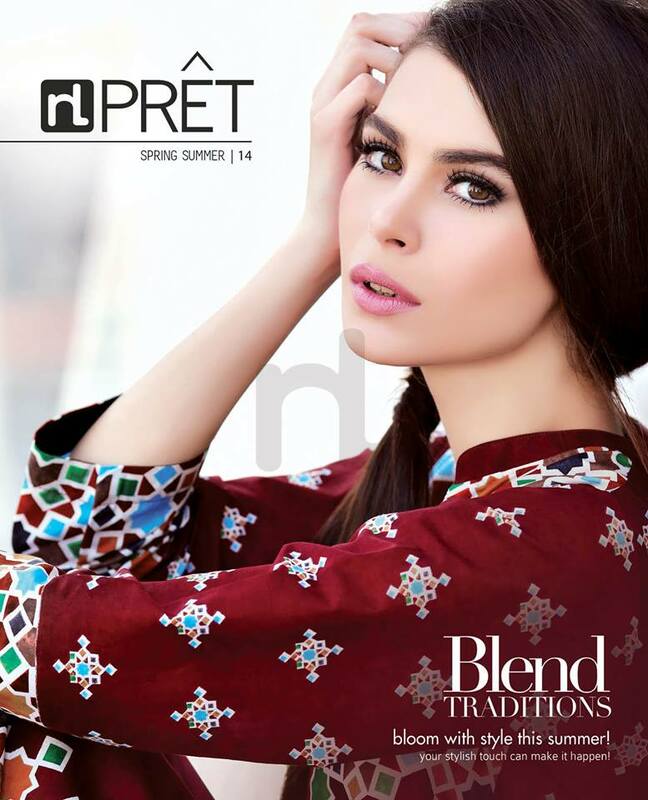 This NL Pret Spring 2014 Collection consists of very stylish and cool dresses having very artistic and unique prints. 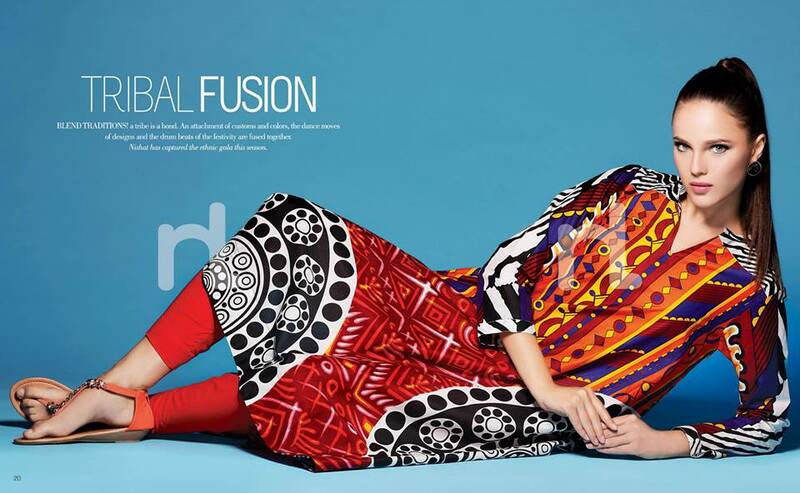 The outfits are embellished with block printing and floral patterns. They includes 2 piece suits for women including shirts and tights/Trousers . The coloration pattern of shirts is very impressive, they are contrasted in very bright hues which is really attracting and heart holding. The suits are high adorned with high ends and modernity. 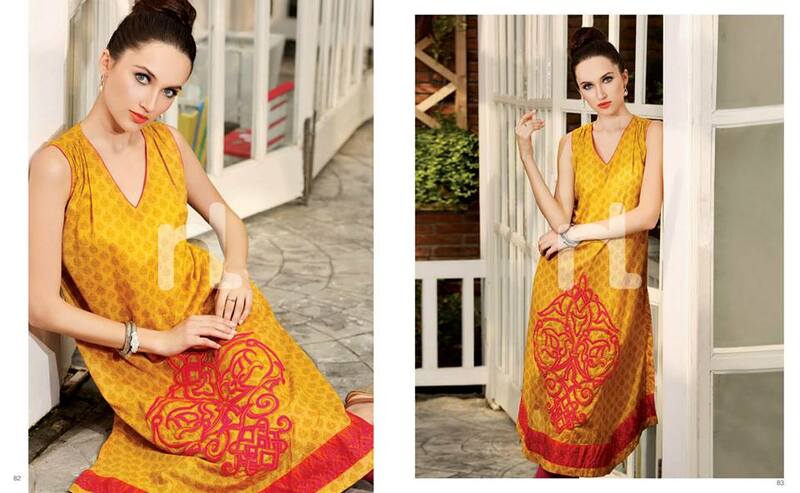 Theses Spring and Summer Dresses are ready to wear that are finely stitched in eastern and western style. This collection is now launched in all stores and outlets. Just go and grab your favorite piece and satisfy your season with this superb assortment. Get inspired by the photo gallery posted below and update your spring wardrobe with perfect wear.